It’s a beautiful fall day in Odessa, you take your bike out for a spin, you make a quick stop at the store, and when you come back out into the parking lot, you stop dead in your tracks. Where did your motorcycle go? Motorcycle theft is unfortunately common, because motorcycles are unfortunately easy to steal. This couldn’t be more true in Texas, where we’re third in the country for most motorcycle thefts. Not exactly something you want to rank for, but our motorcycle shop has some ways that you can stop theft from happening. Nothing is more devastating than having to deal with a stolen motorcycle, but if you take these steps to prevent theft, you might never cross this situation in the first place. Take it from our guys, and stop by Ruhnke’s Xtreme Cycles to buy, sell, and get parts and service on your hog. We’ll be glad to see you! Why are bikes so easy to steal? Cars are a little more difficult to steal, because it’s a multistep process. Cars need to be broken into first, then hot-wired, and once they’re taken, it usually doesn’t take long for traffic cameras to pick up a stolen vehicle. With motorcycles, all those processes aren’t involved. Certain bikes have remote starts, meaning a key isn’t even needed to start the engine. 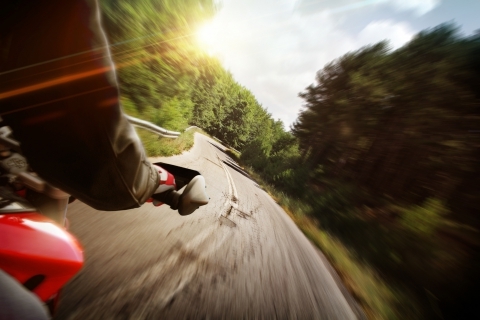 Motorcycles are also exposed — versus the inclosed nature of a car’s dashboard. Even with a wheel lock, bikes can still be broken into. In extreme cases, there are plenty of reports where entire bikes were just lifted and stolen, placed into the back of a truck then driven off. Are certain motorcycles more likely to be stolen? Souped up or enhanced bikes could be more susceptible to theft, solely because they’re more valuable and thieves could flip them for a greater profit. But as esurance reports, Hondas are actually the most likely brand of bikes to be stolen — in fact, almost 1 out of every 5 stolen motorcycles is a Honda. Yamaha, Suzuki, Kawasaki, and Harley-Davidson are the other brands that are most commonly stolen, in that order. When are motorcycles likely to be taken? On a national average, it comes as no surprise that July through September are the most common months for stolen bikes. Motorcycles are out more than the rest of the months, making them prime pickings for bike thieves. However, this isn’t the case for Texas specifically — our warmer temperatures result in more motorcycle thefts throughout the year, and sometimes are less frequent in the hottest months of the summer. Lock your ignition. Oftentimes, riders will turn off their ignition, but they won’t lock it. Not locking the ignition actually is the leading reason for the majority of motorcycle thefts. Lock smarter. Lock your motorcycle to a strong and stationary object when you can, and if riding in a group, park with the group as well. Locking the forks and disc brakes are other mechanisms that shouldn’t be overlooked. Use technology. Motorcycle alarms and hidden “kill” switches can make a big difference in stopping a theft in its tracks. Put it away. Whenever possible, don’t leave your bike parked out in the open. Keep it in a garage or a storage unit, and if you have to park it outside in a public place, check on your bike frequently. Know your environment. Places that are unknown to you mean taking extra precautions; also, keep it in the front of your mind that if you’re riding during peak motorcycle season, there’s a good chance that bike thieves are doing the same. Consider the timing and location of each and every ride. Sell safely. Don’t let someone who you don’t know take your bike out for a test ride on their own. Posting your bike up on Craigslist and working with strangers could result in you losing your bike, and not making any profit with it. Keeping that last point in mind, one of the best things you can do when selling your bike is to bring it into Ruhnke’s Xtreme Cycles. 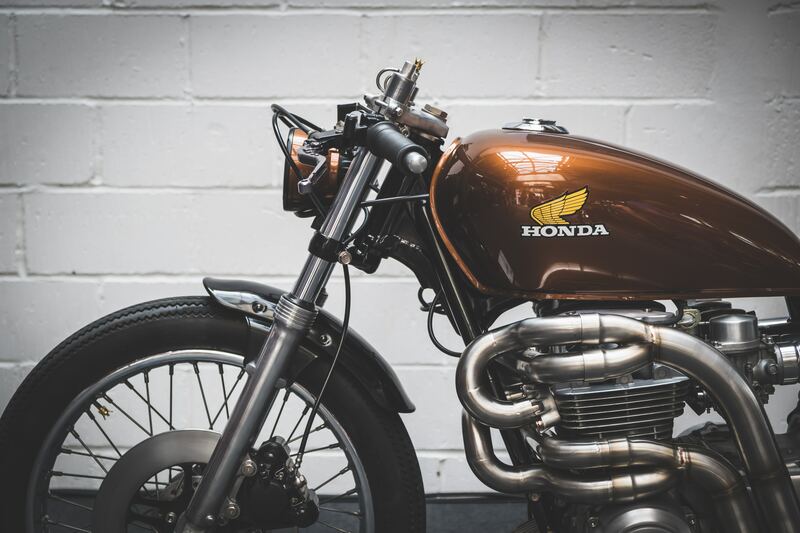 Our motorcycle shop buys on consignment, which has plenty of benefits for you, the seller — and one is definitely that if we like what you’re selling, we’ll make you a fair purchase offer right then and there. There won’t be any wait time or chances of it being stolen, and you’ll sell your bike faster in the process. But regardless if you’re selling or are nowhere near ready to think about it, these theft tips should give you a great starting point for keeping your bike safe. Have fun on the road, and make sure you drive by Ruhnke’s Xtreme Cycles to view our current bike selection!